Rotorua Lakeside Concert have chosen Ka Pai Kai the recipient of the charity funds raised during the 2019 concert. Ka Pai Kai make healthy school lunches that are affordable, accessible and delicious. They believe all children deserve a nutritious meal, and their mission is to nourish the minds of the future generation. We hope that you can give generously. Please bring along your extra gold coins for the charity collection. For more information about Ka Pai Kai please visit fuelled4life.org.nz or visit their Facebook page. There is special reserved seating located at the front and centre of the stage, ensuring you have the best view possible on the night. Reserved seating cost $38 per seat, to reserve your seat please follow the link below to book through Ticketmaster. Reserved seats are limited, don’t miss out! Click here to reserve your seat. Rotorua Lakeside is a FREE event. Everyone is welcome to come along and enjoy the family friendly show and the impressive fireworks display. – Children under the age of 16 years of age must be accompanied by an adult. – This is a BYO Event. Beer & wine is permitted, though there is a limit of one bottle of wine or six cans of beer per person. – Plastic or paper cups only. Hamper/picnic, rugs/cushions, low level seating, (folding beach chairs), sun umbrellas, sun screen, sunhats, sweaters (for late), showerproofs. Note: Bags may be searched for excess alcohol (beer & wine only permitted). A wide variety of food and beverages will be available on-site. Road closures will be in operation. Parking is available in the nearby central city area. Disability parking is available on Whakaue St by QE Health with mobility card present. Be seated by 7pm, show starts at 7.30pm and finishes with the amazing First Sovereign Trust Fireworks Finale at approximately 10.15pm, please remain seated. 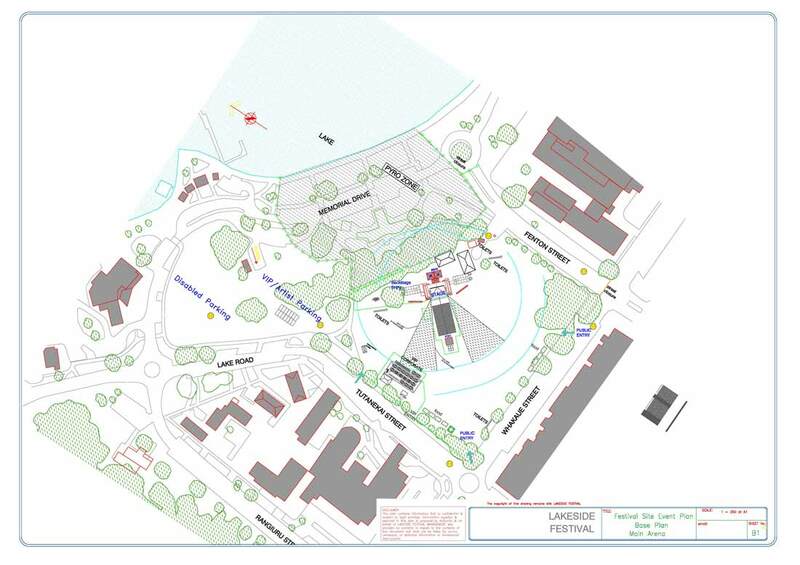 Alcohol (beer and wine only) will be permitted only in the official LAKESIDE area. Bags may be searched for excess alcohol.